Newsletter November 2013 – Are you listening? Really Listening? 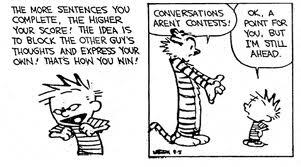 …which could explain why, so often, there are misunderstandings in communication! Have you ever thought about how you listen, or about your particular listening style? Do you listen attentively, or are you unconsciously listening competitively? you are waiting for a gap and formulating your rebuttal while “listening” with those “yes, but…”? OR, are you listening passively or attentively? This is a genuine interested in hearing and understanding the other person’s point of view BUT we assume that we have heard and understand correctly and therefore stay passive and don’t check what we have heard. The “aftermath” of not having verified, clarified or checked understanding usually occurs sooner than later. Active or Reflective listening is the single most useful and important skill to listening. active in checking our understanding before responding by restating or paraphrasing our understanding of the message and reflecting it for verification. With this verification or feedback process a misunderstanding is identified immediately, and can be clarified before any further misunderstanding occurs. 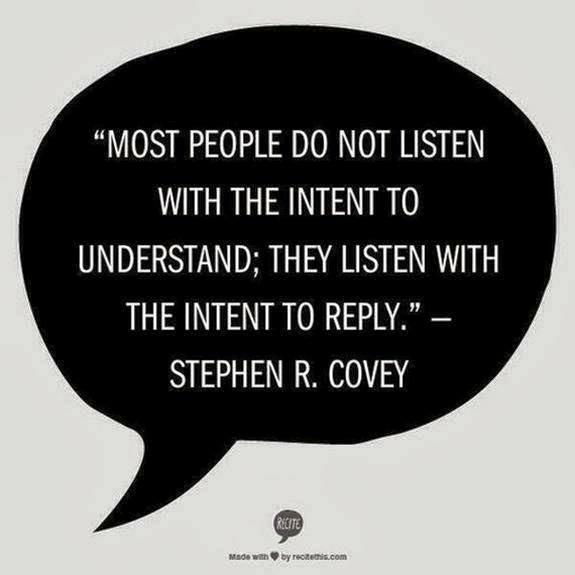 This is what distinguishes active listening and makes it so effective. answers questions and finds underlying meanings in what others say. So what to do? Become an effective listener by practicing active listening and turning it into a successful communication skill. You can also acquire more communication tips and tricks by attending one of our seminars or getting personal communication coaching. Don’t forget, if you “don’t have the time” we can “meet” on Skype. Contact me now.